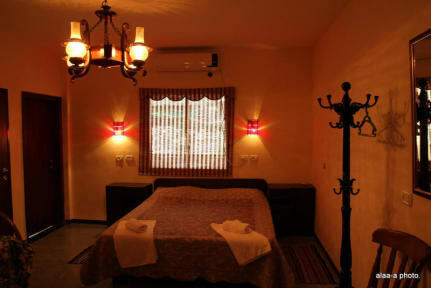 Vitrage Guest House i Nazareth, Israel: Reservér nu! The Guest house offers 7 Private Bedrooms with a bathroom and air conditioning. One of the rooms had a big balcony. There is a free breakfast in the morning and you can enjoy the outdoor space of the Guest House. The outdoor space contains a terrace, surrounded by ancient Ottoman walls, and citrus trees. 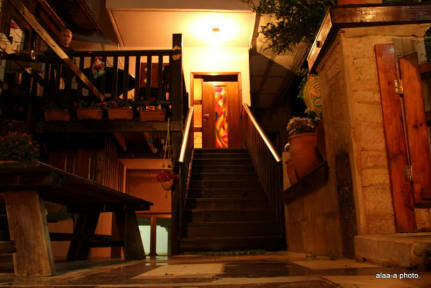 The lights in the garden give the place an authentic atmosphere, they are made by the owner (glass stained). WiFi is available.